Odds are, you know someone who uses an e-reader or a reader app on a regular basis. With the holiday season approaching we’re all looking for gifts for our friends and families. Gifting e-books is quick, there’s no shipping involved, and you can do it from home without braving mall traffic. 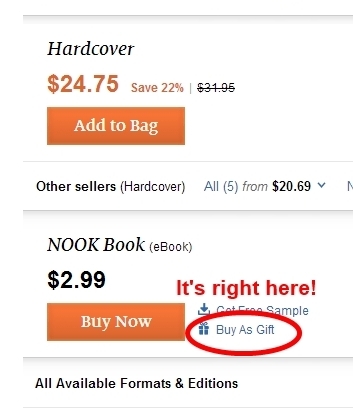 What’s more, the major e-book retailers allow e-books to be exchanged for store credit, so if you make a mistake and give a book that your recipient already has, she or he can exchange it right from the device screen. Electronic retailers make it easy to do, too. All that you need is an account with the retailer and the recipient’s e-mail address. First, find out what sort of e-reader or app your friend uses. The most popular is Amazon’s Kindle and Kindle apps. (Even many iPad users are more likely to use the Kindle app for iPad than Apple’s dedicated iBooks reader.) If that’s the case, then shopping on Amazon is going to be easiest. Nook and Nook apps are the creation of Barnes & Noble (B&N), and so you’ll want to shop there. The Nook uses the epub format, which is the same format used by Kobo readers, and which can also be read by Apple readers and apps. Sound confusing? It really isn’t. If your friend uses a Kindle or a Kindle app, go with Amazon. For other e-readers, the B&N site should provide a file that is compatible with their equipment. Again, remember that e-books on both sites are easy to return for store credit, which means music, games, anything that the retailers sell. Once you know what format of e-book to buy, all you need to do is find something in the right genre. Obviously I’m going to suggest that you look through the offerings on this site that are sorted by genre—I wouldn’t be writing this article for this site if I didn’t believe that books by contributing authors to this site were worthwhile. (Including, ahem, mine.) I do hope that when you finish reading this you’ll take a moment to look through what we have to offer. The books listed here will have links to the Amazon and Barnes & Noble sales pages. However, any retailer that sells e-books is going to have them sorted into types—Mysteries, Romances, Science Fiction, Fantasy, and so on. Most will offer recommendations based on other books, so if you know a title that your friend really enjoyed you can find that title and see what else the site suggests. I’ll be showing screenshots from Amazon and Barnes & Noble’s websites. They are the two biggest retailers of e-books, and while there are others—lots of others—these two are, in my opinion, the easiest to work with. Many other sites will require you to download the books to your own computer and then transfer it to the e-reader, which isn’t that difficult, honestly, but a little more in-depth than I want to go into here. Not being an Apple user, myself, I don’t have any real experience with using their iStore. I don’t believe that they allow gifting of specific titles, instead they tend to prefer that customers buy iTunes gift cards. Once you’ve found a title that you think your friend would like, you’ll see an option for Give This Book As A Gift on the book’s sales page. Click on the gift button and you’re almost home. 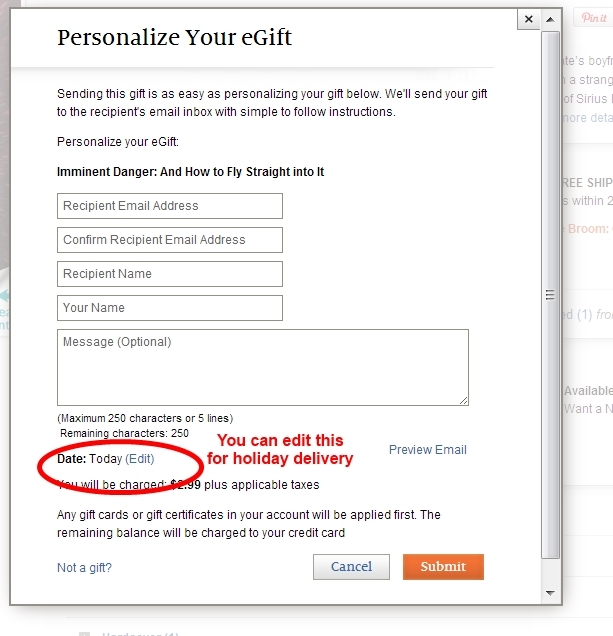 Next you need to tell the retailer what e-mail to use to notify your friend that there’s a gift available. The forms are very easy, and can include a personal message. This article was written and submitted by Misha Burnett for the Read Tuesday website and blog. If you would like to submit an article for consideration, please use the contact us form to briefly describe what you have in mind and we will consider it. 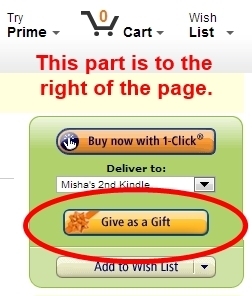 How to Gift an Ebook! Important for the holidays and birthdays. I’m looking forward to gifting some Read Tuesday e-books this holiday season. 🙂 I hadn’t thought about birthdays. That’s a good idea. Misha Burnett submitted this article for the Read Tuesday website. Gifting e-books is quick and easy, any time of the year, as Misha shows. My article on gifting e-books for the Read Tuesday site. A little cautionary tale – don’t try to gift Nooks to folks outside of America. They won’t be able to pick up the gift even if they have a device that reads epubs. There’s some kind of zone problem. I discovered this the hard way. Kindle as far as I know works everywhere. This was great. I love the screenshots. I used to think that books were such a personal taste item that I was afraid to gift them. Then, it occurred to me that almost every book I have ever read was suggested to me by someone else. I have been gifting them for a couple of years now, and gets loads of thanks when I do. We also get to talk about the books later…it’s the gift that keeps giving. A guest post by Misha my friends! check it out! Always a pleasure. I am happy to help where I can. Fair point! It doesn’t help that I’m still in the Dark Ages and firmly prefer books to ebooks despite being an ebook author myself. Shame on me. SHAME! 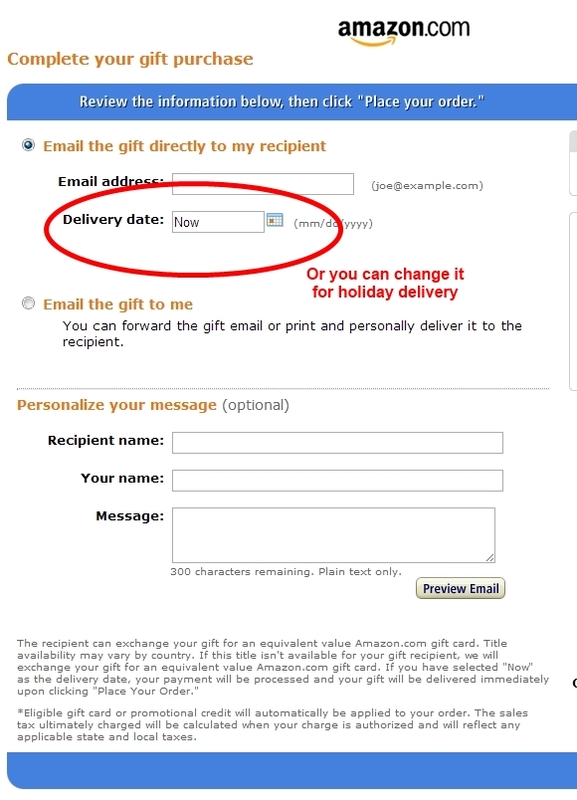 As I understand it, gifting books is only available in the US on the amazon.com site. It does not work on the UK site 😦 I have no idea why! I’ve heard this before. If so, it does seem strange, doesn’t it? Maybe someone will have a good solution for this.